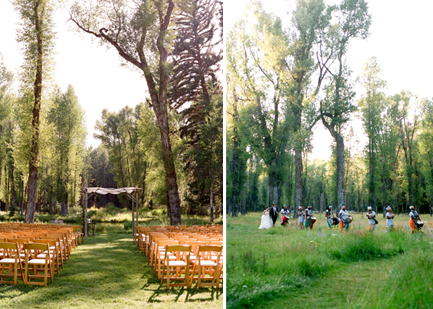 Jackson Hole, Wyoming – A stunning wedding that embraced nature and rustic, understated elegance. Wow Moment – African drummers led guests from the cocktails area through a path in the woods to the reception tent for dinner and dancing. 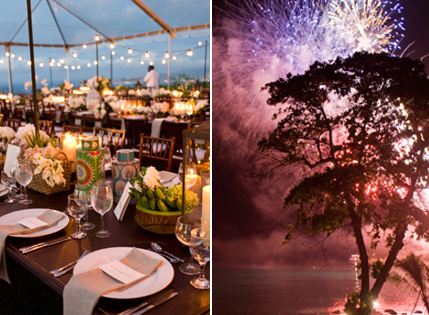 Montego Bay, Jamaica – A free-spirited, fanciful wedding celebration in the tropics. Wow Moment – As the steel drum band finished their performance, fireworks exploded over the ocean to mark the start of the dance party. 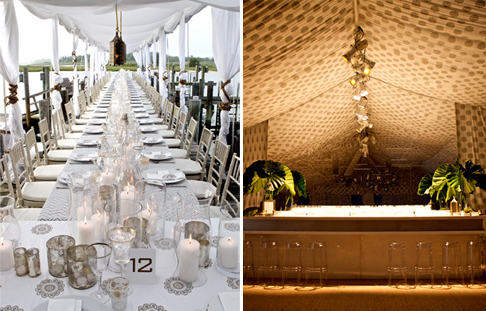 Southhampton, New York – A modern Moroccan-themed birthday bash on a dock. 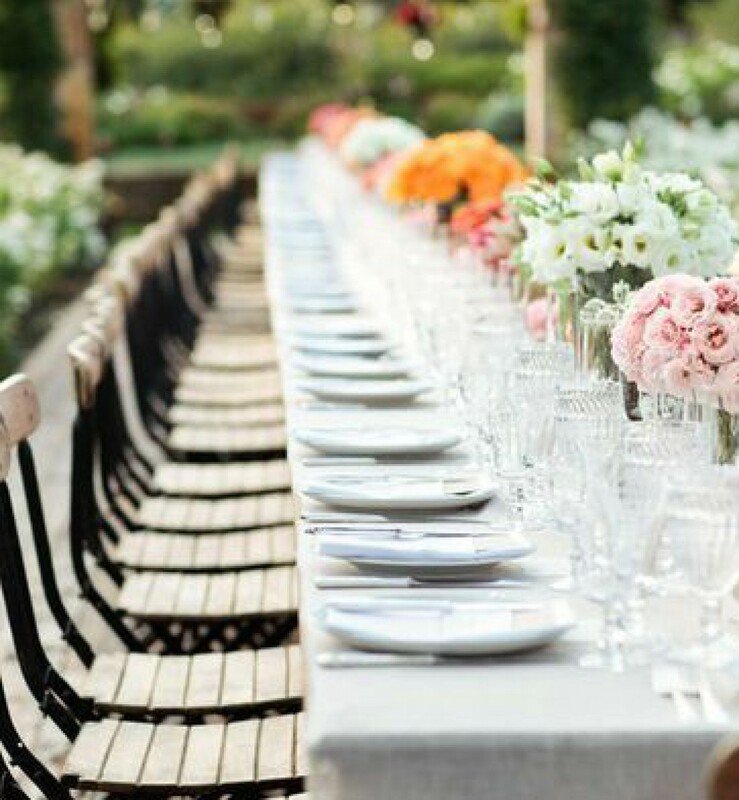 Wow Moment – Guests danced and lounged in a tent swathed entirely in custom-made fabric. Looking forward to more amazing events in 2010!